We looked at the top 10 Toaster Ovens and dug through the reviews from 102 of the most popular review sites including Consumer Reports, Family Living Today, Best Reviews Guide, Home Addons, Digital Trends, Kitchen Gear Zone and more. The result is a ranking of the best Toaster Ovens. Our experts reviewed the top 10 Toaster Ovens and also dug through the reviews from 102 of the most popular review sites including Consumer Reports, Family Living Today, Best Reviews Guide, Home Addons, Digital Trends, Kitchen Gear Zone and more. The result is a ranking of the best of the best Toaster Ovens. The Breville toasts bread and bagels evenly but can ramp up to much bigger jobs with 9 preset functions. With a bigger profile, this is the one you want for larger meals. It also features a deeper crumb tray for easy cleaning. The tray pops out when your food is done to make removal a snap. DWYM Kitchen Experts plus BestReviews, New York Times Wirecutter, Top Ten Reviews, Consumer Reports, Tech Gear Lab, Good Housekeeping and 3 more. Along with user reviews from Amazon and Best Buy.
" Off the charts in terms of performance and features. Huge internal capacity. Includes a 3-position baking rack and generous set of bake ware." "But it is slower at preheating, doesn’t toast as evenly, and costs more than our main picks." 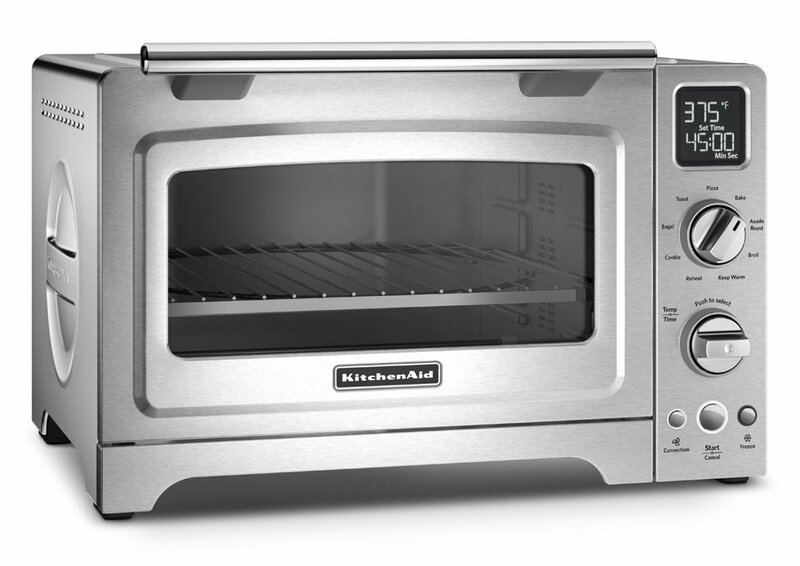 A roomy model with convection heating, the KitchenAid Counter Oven can accommodate pizzas as large as 12". It excels at defrosting and has multiple dedicated modes, including an Asado Roast for two-stage cooking. Despite all the bells and whistles, it's also easy to use for casual snack heating. DWYM Kitchen Experts plus Best Reviews Guide, Make Bread At Home, Browngoods Talk, News to Review. Along with user reviews from Amazon.
" The convection, in this case, is a great added bonus. You won’t need a ton of space to pull off a fabulously cooked roast dinner!" "The one thing that I really did not care for here is the way you have to clean it out. Yes, it looks like it would be easy to clean out, but it is actually a challenge. So I have..."
Hamilton Beach's Easy Reach Toaster Oven has a roomy interior, making it especially well-suited for warming up multiple snacks or cooking pizzas (up to 12 inches). Its convection heating makes for evenly browned bagels or muffins. You can also customize the temperature up to 450 degrees. It fits easily on any countertop, with a long cord that increases your options for placement. DWYM Kitchen Experts plus BestReviews, Top Ten Reviews, Popular Mechanics, Reviews.com. Along with user reviews from Amazon, Target and Walmart.
" Large enough to accommodate a 12-inch pizza. Toast, bake and broil settings - convection circulates air for even cooking." "When we measured the interior temperature, we did find that this toaster oven ran about 17 degrees hotter than the temperature we had set, which isn't the hottest but also isn't the best accuracy we've seen. This heat difference leads..."
An ideal option for small counter spaces, the Panasonic Flash Xpress specializes in warming up light bites and pizza. It does so with quartz and ceramic "infrared heating," and their dual placement makes for even toasting. As a major fringe benefit, there's scarcely any preheating time. That, coupled with a handy internal light, makes this the best option for quick midnight snacks. DWYM Kitchen Experts plus BestReviews, Gadget Review, New York Times Wirecutter, CNET, Foodal, Tech Gear Lab and 2 more. Along with user reviews from Amazon, Walmart, Best Buy and Target.
" Compact item. Uses infrared heat for faster cooking and reheating." "If you can’t tell from the images, the FlashXpress is small, all things considered for a toaster oven. Less so in the height department, and more in terms of width. It measures a scant 12 x 13 x 10.25 in." We identified the majority of the toaster ovens available to purchase. 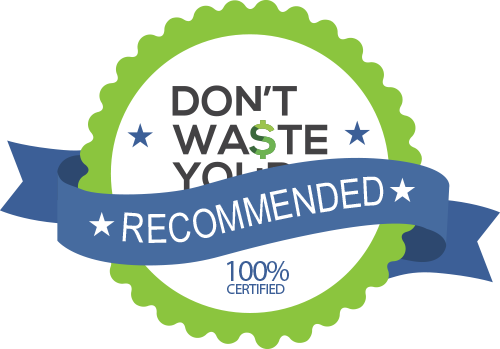 Reviews from our DWYM category experts and analysis of some of the most respected sources including: Consumer Reports, Family Living Today, Best Reviews Guide, Home Addons, Digital Trends. The Smart Oven maintains temperature remarkably well. The oven also automatically shuts off the heating elements after each cycle of heating, which makes it safe for your children to use. This model was excellent in ease of cleaning. How easy it is to clean both the exterior and the crumb tray. It has one of the sturdiest crumb trays we've encountered that easily removes and is deep enough to keep crumbs and food bits in place on the way to the trash can. It toasted bread evenly — no half-burnt pieces here — and roasted a four-and-a-half-pound chicken beautifully. The Breville BOV800XL Smart Oven features an automatic rack ejector that pushes its rack outside when opened. This allows you to pick your food without fear of touching the hot edges of the racks. Interestingly, we found that toasting evenness has a lot more to do with your bread than your toaster. This Breville oven has a special IQ technology that allows you to adjust the heating on five levels so that your food is prepared quickly and efficiently. But it is slower at preheating, doesn’t toast as evenly, and costs more than our main picks. The toaster oven consumes 1,800 watts when in use, which is more than most of the other toaster ovens in our lineup. But be careful when using the toaster oven: The exterior can get too hot to touch. The cord is an impressive 35.5 inches long, which gives you more room than most to situate your toaster oven where you want. And oh my gosh. English muffin pizzas. Bacon. Crispy cheese thingies. Warmed-up muffins. Quick roasted vegetables. Warm pie. “Toasted cheese under the broiler.” A single slice of last night’s pizza. When we measured the interior temperature, we did find that this toaster oven ran about 17 degrees hotter than the temperature we had set, which isn't the hottest but also isn't the best accuracy we've seen. This heat difference leads to drying out and overcooking food. It’s also not well-suited for dishes with long cooking times. The timer only goes up to 30 minutes, a good measure of what you should expect out of a toaster oven for this price. If you’ve never used a toaster oven, the first thing you need to know is that it’s not a toaster. Mind you, you can make toast with it, but that’s hardly its only use or even the primary one. Depending on the household, it can fill a surprisingly wide gap between the microwave and a traditional oven. Need your snacks warmed up quickly, but hate that microwave sogginess? Need your potatoes, pies or side dishes baked while your main course is taking up the oven? The toaster oven is a perfect solution, and it does all that while using less power. Depending on the size of the toaster oven, it can even be used to cook those main dishes. Many models (such as the Breville Smart Toaster Oven) have one-touch modes tailored to pizza, for instance. The same goes for baked goods like cookies, cupcakes and bread, which toaster ovens are particularly good at in small batches. And finally, they’re a life-saver when foods need thawing out quickly. As you might imagine, an appliance that heats all these foods is going to get dirty. Luckily, most models are as easy to clean out as a traditional toaster, if not easier. There’s generally a tray at the bottom that catches crumbs, melted cheese or other debris. Pull it out and wipe it down, and most of your cleaning is done. Toasters and toaster ovens may be a relatively modern appliance, but humans have been making toast for nearly as long as they’ve been grinding grain to make bread. We know that the ancient Romans toasted their bread not so much to enjoy it with jam and butter, but to preserve it. Once other options were presented, it didn’t take long for people to get tired of charring their bread over an open flame. Just 14 years after Thomas Edison’s first light bulb, Scotsman Alan MacMasters gave the world the first electric toaster in 1893. It took another couple decades for the pop-up toaster to appear on the scene, courtesy of Charles Strife in 1919. The primary thing you’ll want to consider when buying a toaster oven is size. Bigger is not necessarily better, especially if you’ve got limited counter space and you’re primarily using it to heat up snacks. If you’re making the occasional meal with it, scan the “quick-select” settings for a general idea of what a particular model can handle, but also check the measurements. Just because there’s a “pizza” setting doesn’t necessarily mean you can fit a large pizza inside. Many larger toaster ovens also include multiple racks, which is a plus for baking cookies or making toast for large groups. Another quick way to gauge what meals a toaster oven can handle is to take a quick look at the maximum setting on the timer. If it only goes up to 20 minutes or so, that means it’s not exactly built for roasting a turkey. Convection heating is a big plus, but may not be a total necessity if you’re just warming up bagels. The wattage can tell you a lot about how powerful the heating element is, with 1500 being a good median. Of course, that high wattage setting will also mean it’s using more power, which can defeat the purpose if you’re using it to save energy on side dishes and reheats. Just like regular ovens, most toaster ovens will need time to reheat, though it generally won’t take nearly as long as their larger counterparts. Check reviews to see how long that tends to be. Some models with alternative heating elements, like the Panasonic Flash Xpress, power on with almost no preheat at all, which can be a big plus for those on the go. Finally, consider the cleanup. Most models do have a crumb tray to catch all the cooking debris, but some can be easier to remove than others. As for the rest of the interior, non-stick stainless steel or similar materials are a plus. Something that gets this much use is going to see its share of stains. For the Toaster Oven category, we analyzed 102 of the most popular reviews including reviews from Consumer Reports, Family Living Today, Best Reviews Guide, Home Addons, Digital Trends, Kitchen Gear Zone and more. The result is a ranking of the best Toaster Ovens.